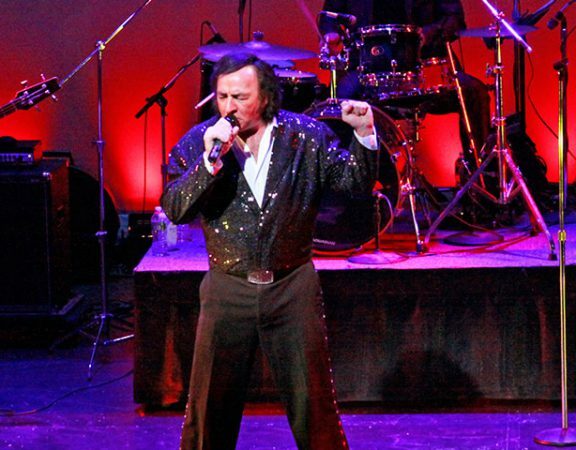 Since 1996, Tom Sadge has been bringing the look, sound and feel of Neil Diamond to audiences across the U.S., Canada and Europe. Neil Diamond fan clubs and show producers choose Tom Sadge as their first choice to portray Neil. Enjoy all the popular Neil Diamond hits including America, Sweet Caroline and Crackling Rosie. Don’t miss the opportunity to watch Tom and his 4-piece band recreate the magic of the Solitary Man! Price includes meal, tax, tip and entertainment. Please call (888) 463-2609 for more information or for reservations. Reservations required. Enjoy all the popular Neil Diamond hits including America, Sweet Caroline and Crackling Rosie. As a special treat this year, Tom will surprise you with a few Tom Jones favorites.